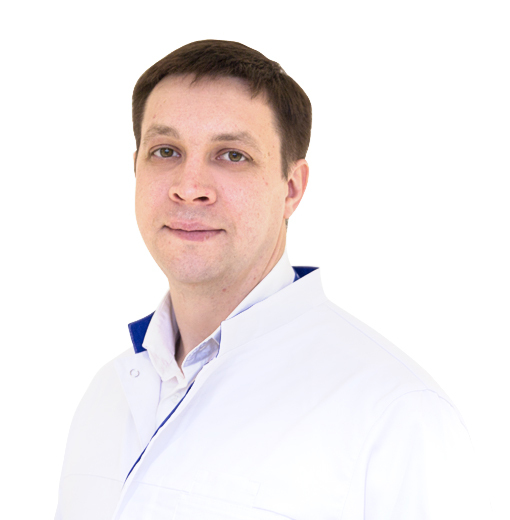 FOMENKO Vitaliy, Doctor EMC. Make an appointment, ask a question. He graduated from the Samara Military Medical Institute with a degree in "General Medicine" in 2006. From 2006 to 2007 he was studying "General medical practice" in the internship at the Samara Military Medical Institute. In 2010, he passed his primary professional retraining in the specialty "Cardiology" on the basis of the Russian Academy of Postgraduate Education at the Cardiology Department under the supervision of professor Nikolay Alekseevich Mazur, a holder of doctorate degree in medicine, honored scientist of the Russian Federation. In 2014, he passed the primary professional retraining in the specialty "Functional diagnostics" on the basis of the Russian Academy of Postgraduate Education at the Department of Clinical Physiology and Functional Diagnostics under the supervision Professor Pyotr Vladimirovich Struchkov, a holder of doctorate degree in medicine. Since 2018 he is a graduate student of the Emergency, urgent Medicine and Extreme Medicine Department and is preparing to defend his thesis under the supervision of the Professor Valery Vladimirovich Boyarintsev, the head of the department, holder of doctorate degree in medicine, deputy head of the Bureau of Medicine and Surgery of the Administration of the President of the Russian Federation. He has an experience as a therapist in the Outpatient Clinic of the Ministry of Defense of the Russian Federation; as a cardiologist at the Department of emergency cardiology with intensive care unit of the Clinical Hospital No. 8 of the FMBA of Russia. The doctor has a comprehensive knowledge in cardiology and general medicine; he is skilled in intensive care in patients of cardiac profile; he also has in-depth knowledge in rehabilitation and rehabilitation treatment principles. He is an existing member of the Russian Society of Cardiology and the European Society of Cardiology. In his work he is guided by the principles of evidence-based medicine. He actively attends various medical conferences and symposia. He has been repeatedly honored with commendation by the top management of the FMBA of Russia for the high professionalism and conscientious attitude to the carrying out his duties.